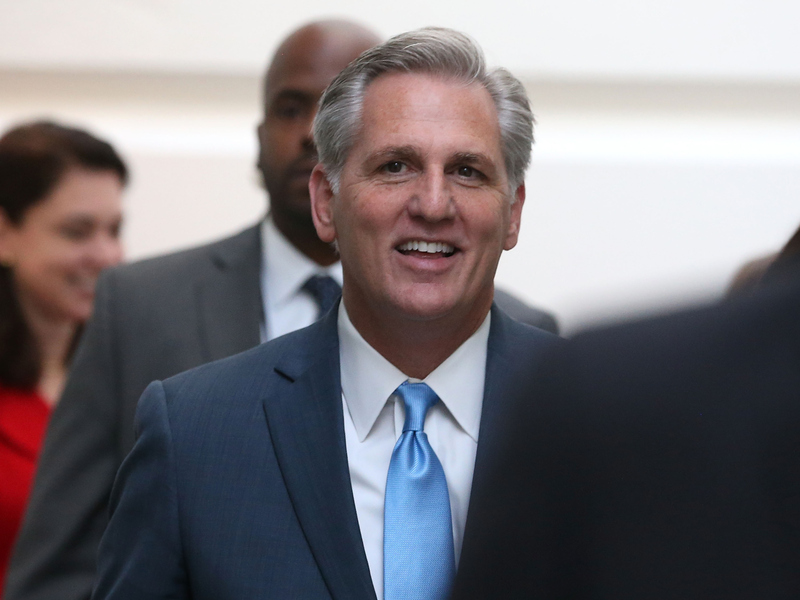 On Thursday afternoon, Rep. Kevin McCarthy said he was dropping out of the House Speaker race, prompting John Boehner and House GOP officials to postpone the election. Boehner announced two weeks ago that he was leaving his post as House Speaker at the end of October. McCarthy was by far the most likely candidate to replace him, but his comments on Benghazi on Fox News — he noted that Hillary Clinton was dropping in the polls, thanks to yet another Benghazi committee looking into the 2012 incident — provoked outrage. McCarthy made his announcement to members of the House, apparently shocking his colleagues, who promptly shared the news on social media. "The room was stunned as McCarthy announced he is 'not the right one' to lead the conference. At 8am he was at a forum making his pitch," Rep. Bill Huizenga tweeted. The abrupt announcement has left D.C. shocked. There's no scheduled date for the House Speaker election, and no front-runner. Plus, the candidates will have the hefty task of unifying a party that has, once again, come undone over infighting. Some members of the party had pointed fingers at Paul Ryan, who promptly released a statement following McCarthy's news: "Kevin McCarthy is the best person to lead the House, and I am so disappointed in this decision. While I am grateful for the encouragement I've received, I will not be a candidate."